Take back control of your development process and gain confidence. We are happy and proud to present the start of a bright new era in dynamics 365 development. At long last we can take control of our software by tracking all of the changes made to Dynamics 365. A new package is available on nuget that helps with this. The usage is straightforward. 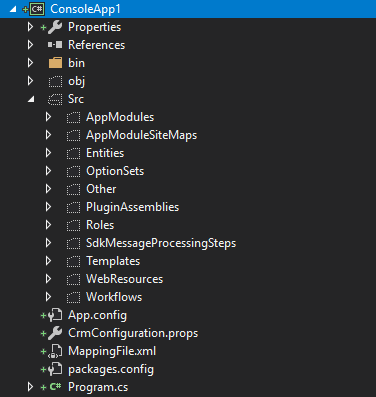 It begins with you creating a new class library project, reference the Nuget package, Configure the CrmConfiguration.props file and away you go. Notice the Src folder, It contains all changes made to your Dynamics environment, Which you can later use to deploy!